The interest paid on a mortgage is one of a homeowner’s biggest expenses. As such, it’s a good idea to consider refinancing your mortgage when interest rates are low, in order to reduce the total interest paid or shorten your term. 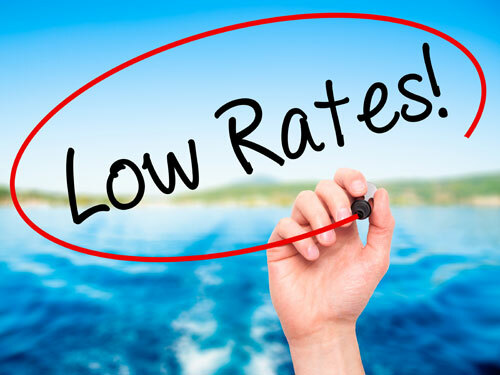 Locking in a lower rate can also significantly reduce your monthly payment. Use our mortgage refinancing calculator to see how much you could save with a lower interest rate. Fixed-Rate Mortgage: Fixed-rate mortgage loans are available in multiple terms, including 30-year fixed-rate mortgages, and 15-year fixed-rate mortgages. The benefits of a shorter-term loan are lower mortgage rates and less total interest paid. Longer-term loans will benefit you by providing you with lower monthly payments. FHA Refinance Loan: An FHA Refinance Loan is a loan insured by the Federal Housing Administration (FHA). This refinancing option is especially beneficial to homeowners looking to quickly lower their interest rate. An FHA Refinance Loan also cuts down on the amount of paperwork required saving you valuable time and money. VA Interest Rate Reduction Refinance Loan (IRRL): The VA Interest Rate Reduction Refinance Loan (IRRL) lowers your interest rates. An IRRL can only be used to refinance a property on which you have already used your VA loan eligibility. Simply stated, your loan must be a VA, in order to VA refinance. There are many things to consider when refinancing your mortgage. The most important of which is your credit worthiness. If you had a low or bad credit score when you applied for your original mortgage, your interest rate may be significantly higher than the national average, effectively driving your need to refinance. By paying down debt, making payments on time, and avoiding new credit inquiries you can raise your credit score and qualify for a better interest rate. The higher the score, the better the interest rate, and the more affordable your monthly payment will be. Contact us today to discuss your options. With a federally insured Reverse Mortgage Loan from Maximum Lending, homeowners 62-years of age or older can convert their home equity into cash, without incurring additional monthly charges. The funds from a reverse mortgage can be used to supplement your income, travel, cover the cost of healthcare, eliminate debt, buy your dream retirement home, or cover the cost of home improvements.